This sounds like a peculiar blog topic since we all know what lead generation is don’t we? It’s identifying opportunities for us to do business. And telemarketing, or cold-calling, is a well-known form of marketing. So what’s so difficult? Wikipedia suggests that lead generation is the generation of consumer interest or inquiries into products or services of a business and that the methods for generating leads typically fall under the umbrella of advertising, but may also include non-paid sources such as SEO or even referrals from existing customers. That’s not a bad definition as it goes. But we get various different requests from customers that have different needs (and infrastructure to support lead generation) that suggests that there are different interpretations as to what constitutes a valid lead. Target firms are FTSE250 companies and bigger in the UK. The aim is to build “Major Accounts” in multiple areas of the customer’s organisation. Qualifying meetings will be with decision makers with the power to spend money. Typically a CIO or CTO in smaller companies or a C level report in the largest customers. More junior staff do not qualify. As you can appreciate, that’s a very targeted (I’ve removed the details for the purposes of this blog) and a challenging brief. It also means that it will require more time and effort to achieve the objectives. There is a world of difference between a chat with a ‘champion’ or influencer within a large organisation that is a priority business target but that doesn’t have an immediate requirement and a face to face meeting with someone senior enough to write the cheque who is ready to buy. 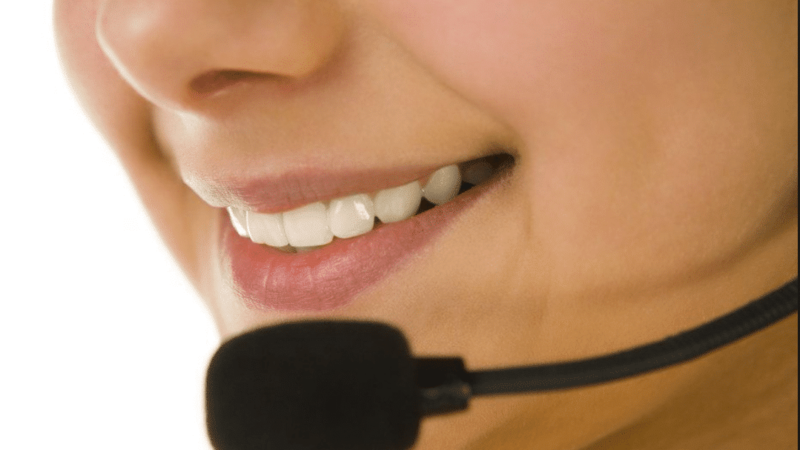 In our opinion, telemarketing lead generation is a process in itself and part of the marketing process. It should be considered from a holistic point of view. Customers rarely go from NO to YES in a single call and it’s equally unusual to simply identify a list of all potential customers that are ready to commission projects whatever the field. Typically, prospects require some warming up. We might get lucky with the right timing. And, it may be that a good caller can stimulate an interest that was latent. But normally, a combination of calls and other marketing over time achieves the best outcomes. Perhaps a range of outbound direct marketing including mailers, emails, invitations to events, a webinar coupled with a call or a series of calls will do the job. In addition, inbound marketing supports lead generation goals. Content, in the form of videos, blogs, white papers and the like can enhance brand awareness, perception and brand credibility for the time when the short listing process begins. A strong social presence adds to brand credibility and awareness. A call now may not bear fruit but it may result in an email or adding the prospect to the email database. The initial conversation may in turn identify a future project or need that paves the way for a warm call further down the line when the time is right or contract renewal is due. Lead generation takes many forms and, in most cases for b2b lead generation, is a process to be managed over time rather than a short-term fix. Clearly, the deeper the qualification, the harder it is, the fewer leads will be forthcoming and the more costly it will be per lead. The ability of your business to manage leads and the level of profiling required may also play a role. If your company has the marketing resource to follow up with email campaigns, run seminars and so on, then generating a pipeline of ‘leads’ that are simply interested in receiving information may be fine. If you don’t have that level of support, you may need to enlist the help of external agencies for all or most of the process. Equally, if it’s only you that deals with incoming leads, how many can you handle at one time? Telemarketing lead generation can be effective in helping organisations to build target lists through data validation. This could simply be through address checking and / or contact building or through telephone research. That could take the form of pre-sales calls to establish interest and qualify leads in or out of the sales funnel. Telemarketing can equally drive immediate revenue by unearthing hot leads or opportunities to do business and it can contribute to the overall marketing effort by increasing the number of emails for a monthly newsletter. They type and quality of lead you require may ultimately therefore be determined by a number of factors and your budget for the activity. Some of these will be driven by internal factors and some by the speed at which you need to generate new business. So, telemarketing lead generation isn’t quite a straightforward as it seems and the more tightly you can define your requirements, the more likely you are to achieve your goals. Telemarketing lead generation can be effective in helping organizations to build target lists through data validation. This could simply be through address checking and / or contact building or through telephone research.